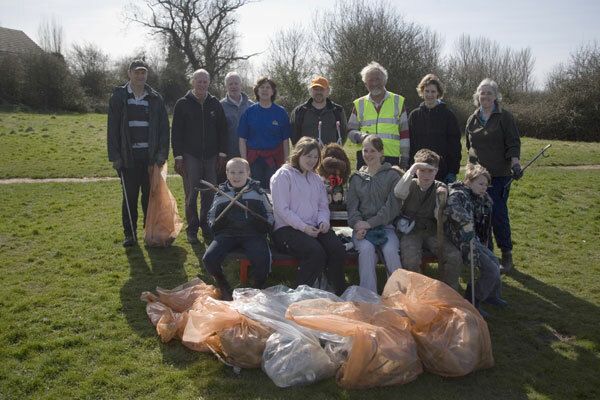 · 14 people attended, working a total of 44 hours. 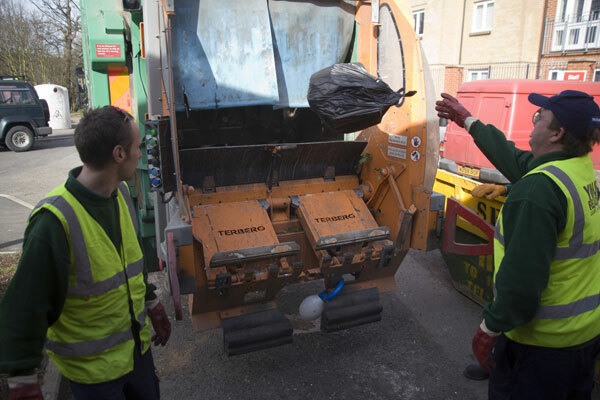 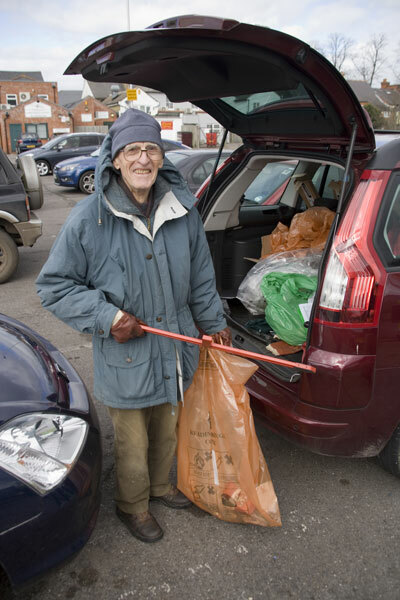 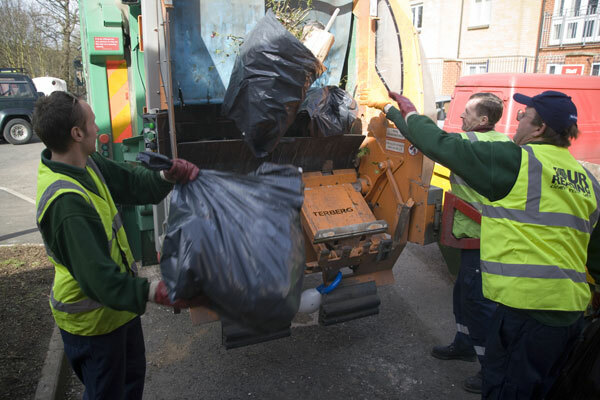 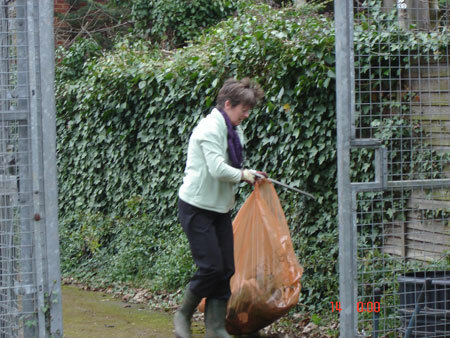 · We were filling the waste and recycling bags only which was easy to do as we worked in pairs, one person with a clear bag, the other with the orange bag. 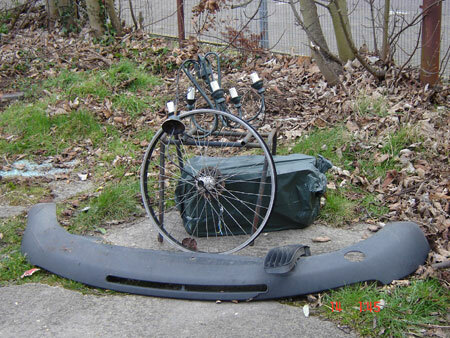 · Unusual items we found included, a single seat sofa, enough car parts to create a whole car, parts of bicycle frames, motorbike tank, pants, four chairs, mobile phone, pencil case, school bag, tyres, traffic cones and crisp packets dating back to the 1980s! 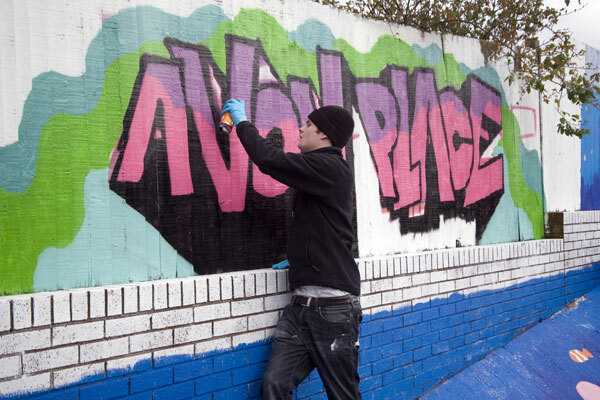 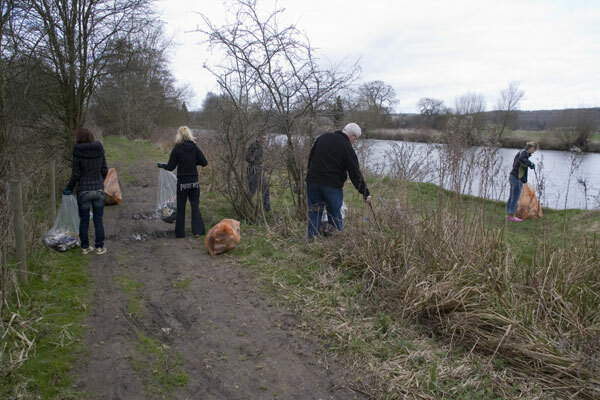 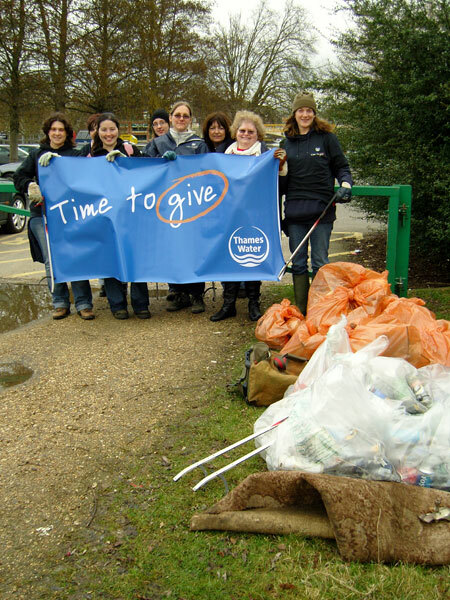 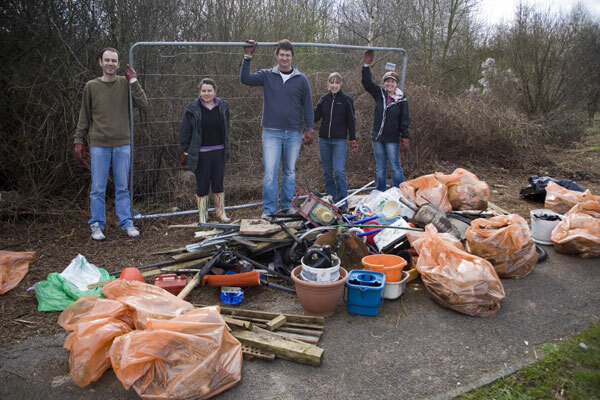 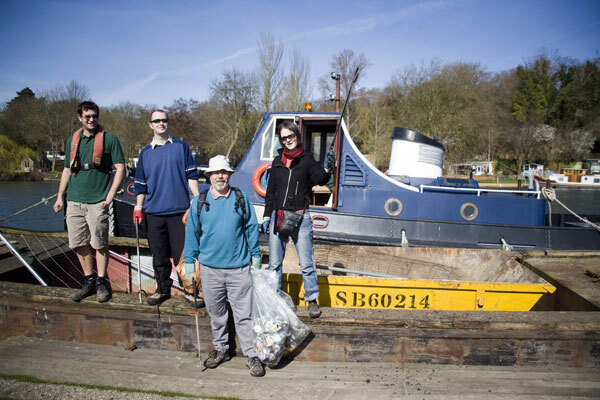 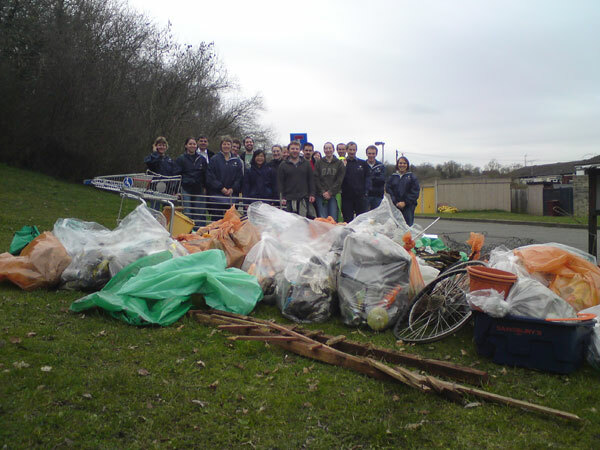 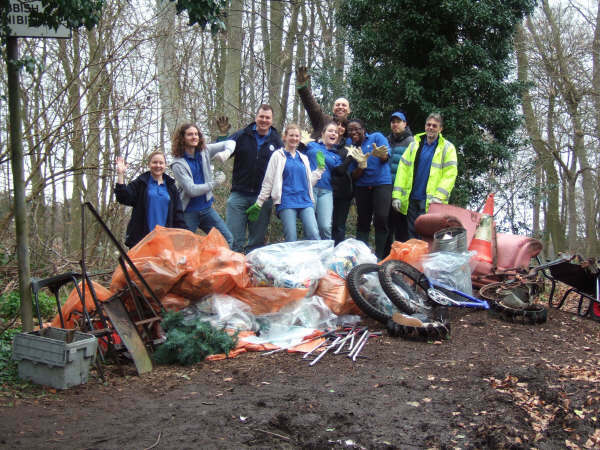 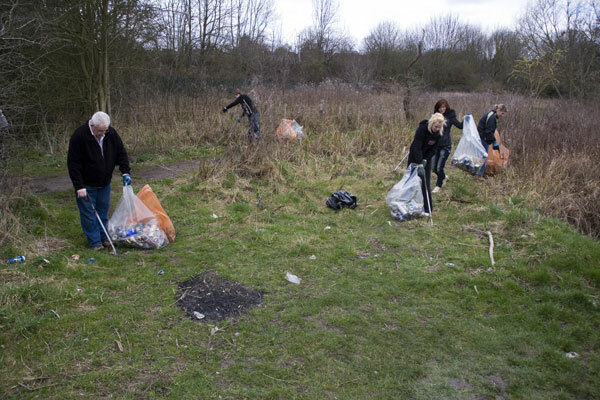 Staff from Official Sponsor Thames Water were also out in force cleaning up during the week. 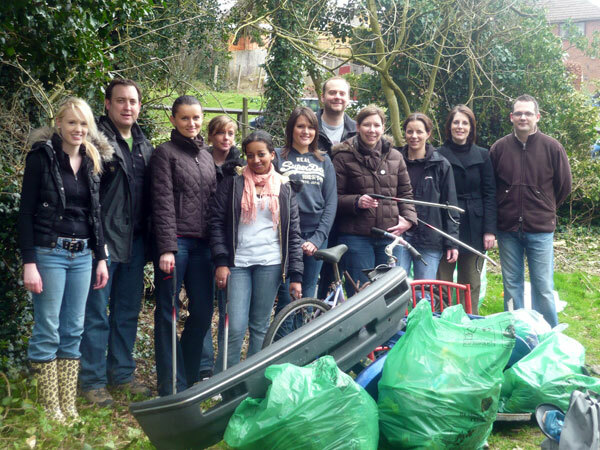 Volunteers from the Holiday Inn Reading South, Novotel and Microsoft also gave their time on Thursday at the Cowsey. 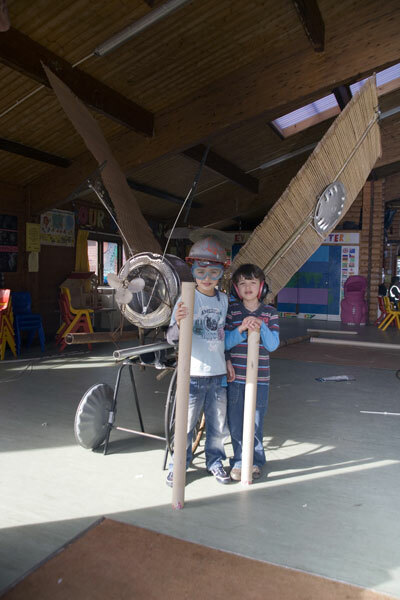 The photos below were submitted by Lisa Barradell. 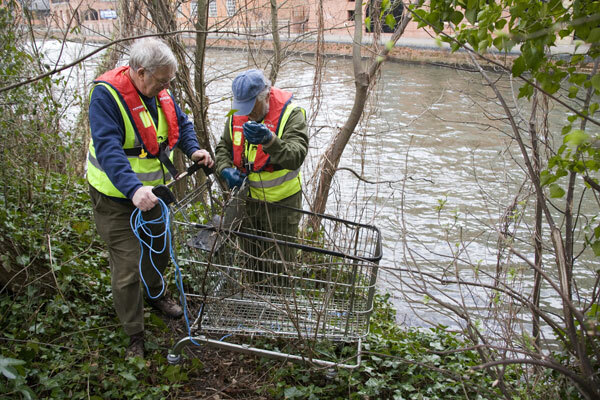 The Waterways Agency had only just started working on the Kennet Canal just upstream from the Oracle when I called by, but they had aleady retrieved the first of many shoping trolleys. 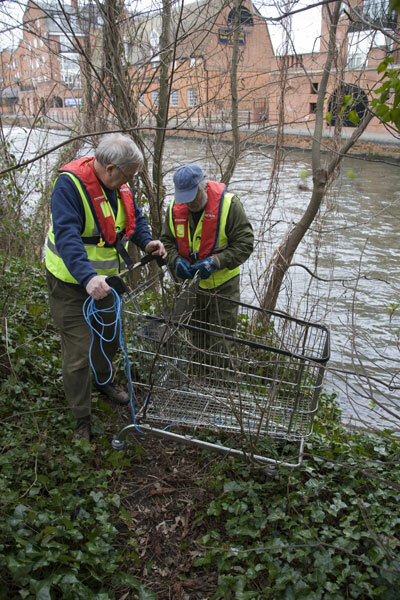 Strangely this one had actually been chained to a tree, before being pushed in to the canal???? 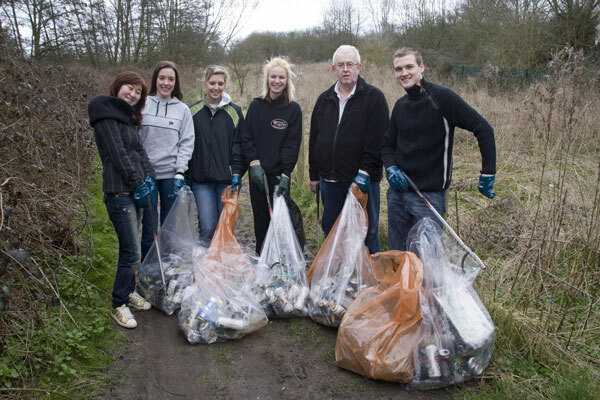 There are several photos of this group in the 2008 Gallery as well. 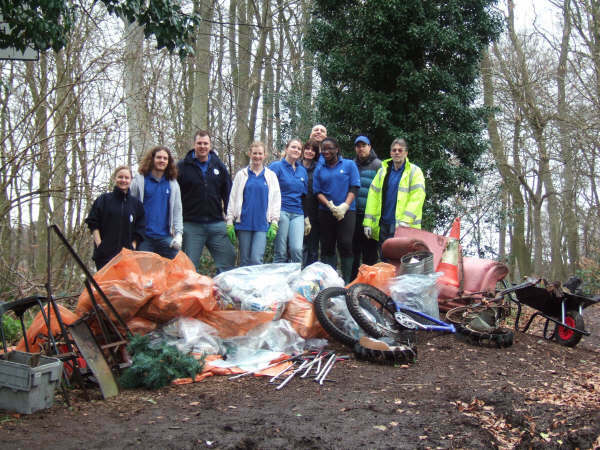 HSBC were also involved this year clearing beside the Thames in Tilehurst. 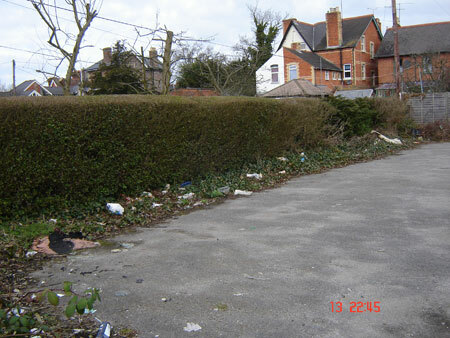 The area seems popular for drinking with large quantities of Stella, Kronenberg, Fosters and Strongbow cans collected from around what appeared to be bonfire areas. 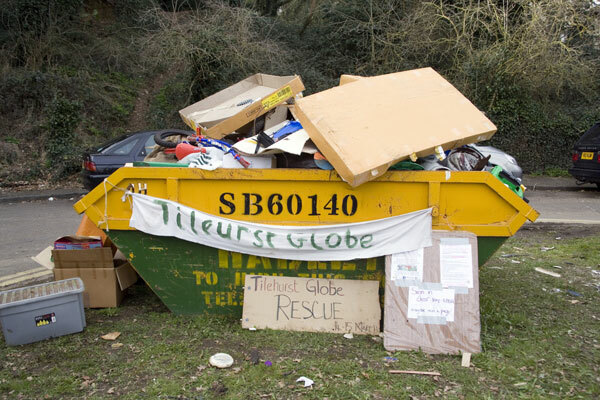 The Tilehurst Globe have been active in RESCUE for years. 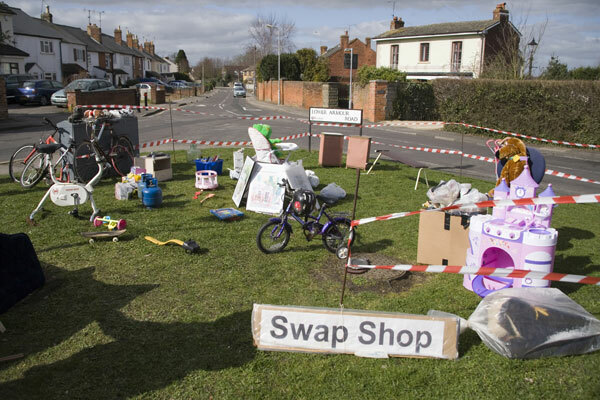 Today they had Girl Guides helping them, and also hosted a Swap Shop. 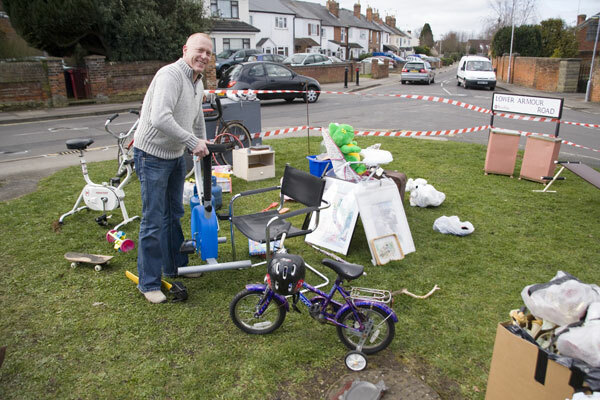 A sort of Freecycle on a street corner. 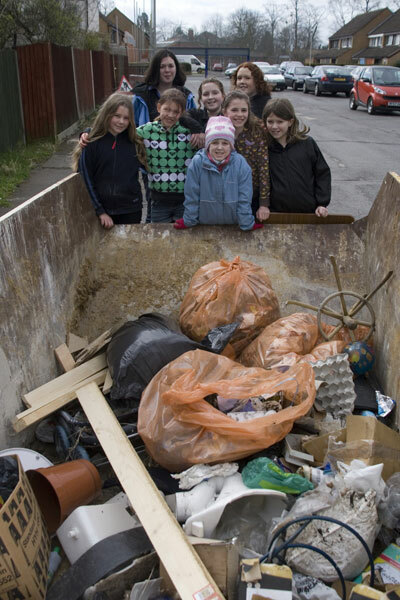 The rubbish that we all collect needs to be transported away. 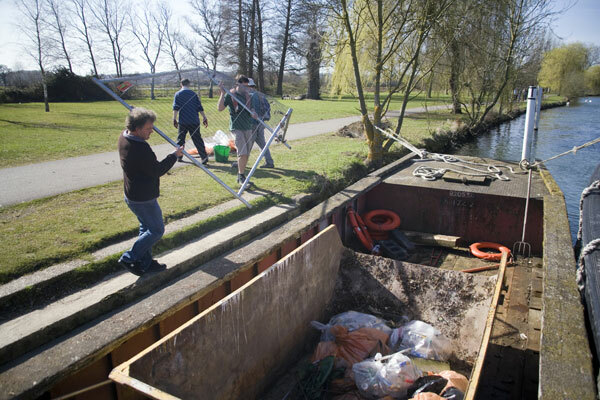 That’s were the Environment Agency and Reading Borough Council staff become involved (not forgetting that Summreen from the Council organises most of the event). 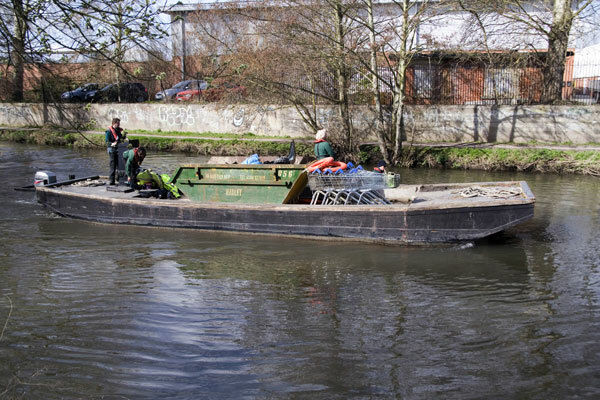 The barge has a skip of rubbish as well as several shopping trolleys. 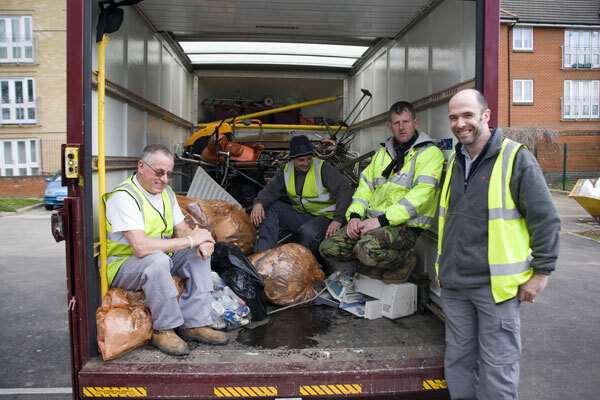 In the truck with the council guys are several lawnmowers, a bath, household radiators (old and new), an iron, a printer, and much much more. 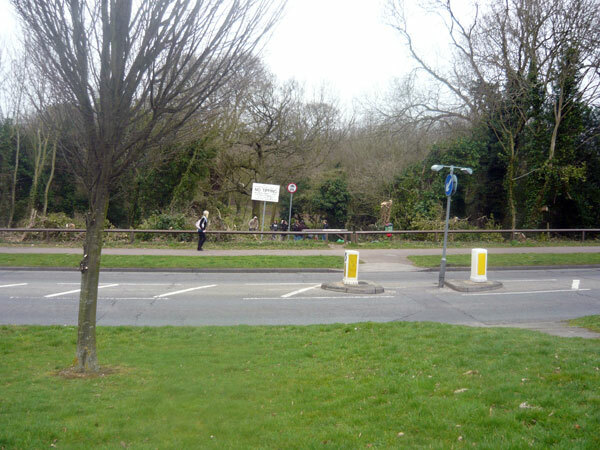 Waterloo Meadow (Elgar Rd) is the headquarters for the weekend. 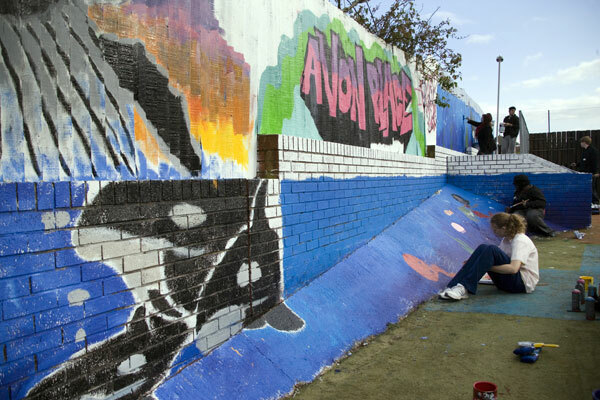 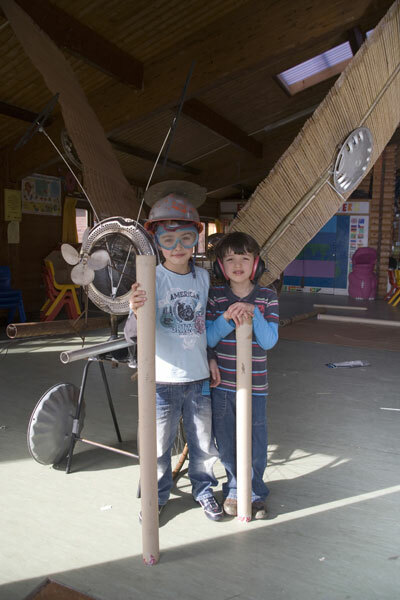 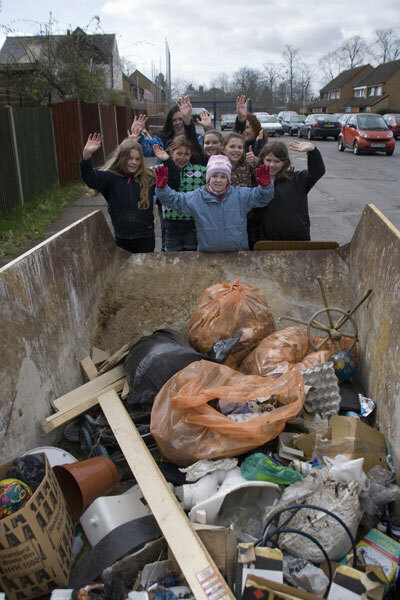 On Sunday there will be art activities for young and old, using rubbish. 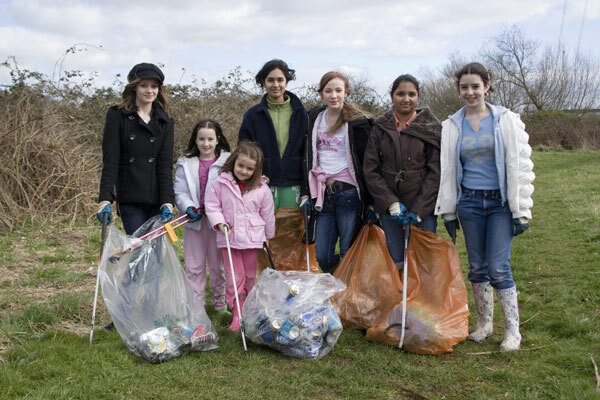 Today there were volunteers helping clear the park, including these girls who I believe were from the Abbey School. 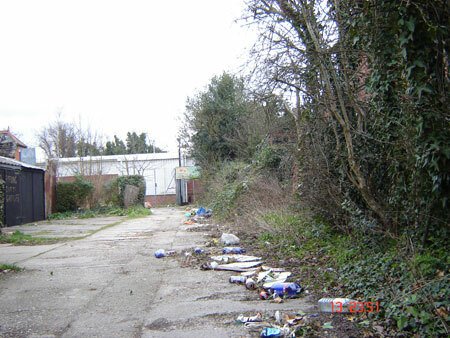 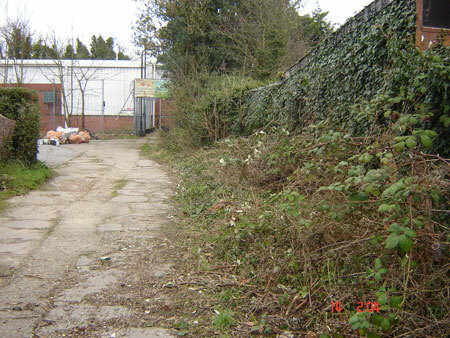 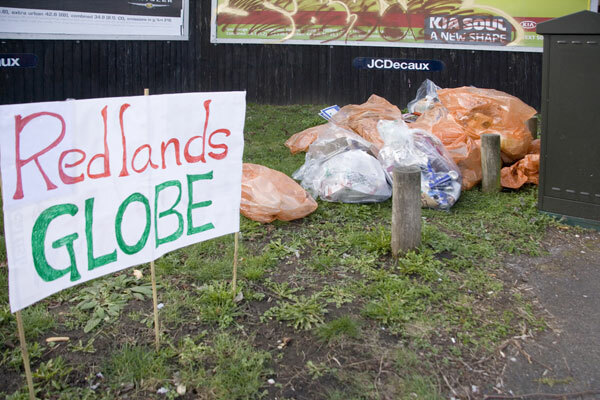 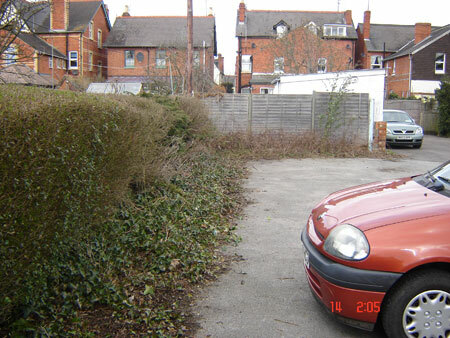 The Redlands Globe were clearing in the Erleigh Road area of Reading. 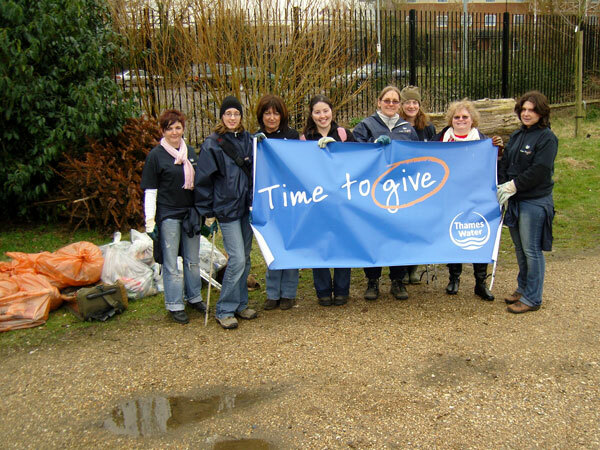 Unfortunately (for me as photographer) they had more volunteers than expected and had finished by the time I arrived. 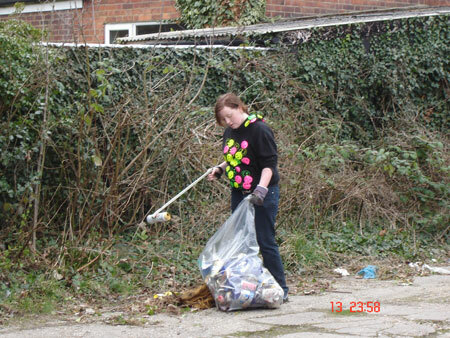 I did take a couple photos of the rubbish they had collected though. 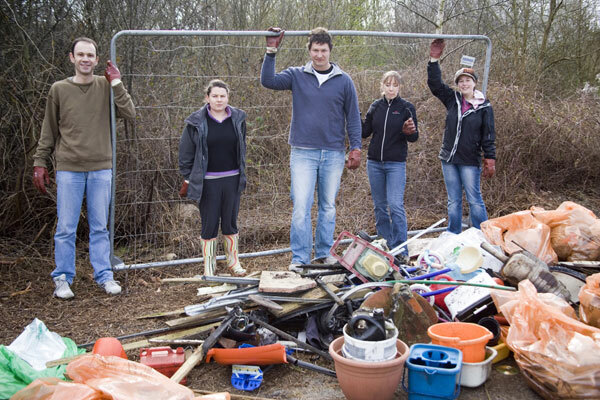 Morgan Cole were in many of last years photos as they were part of a combined group that battled an area in Calcot. 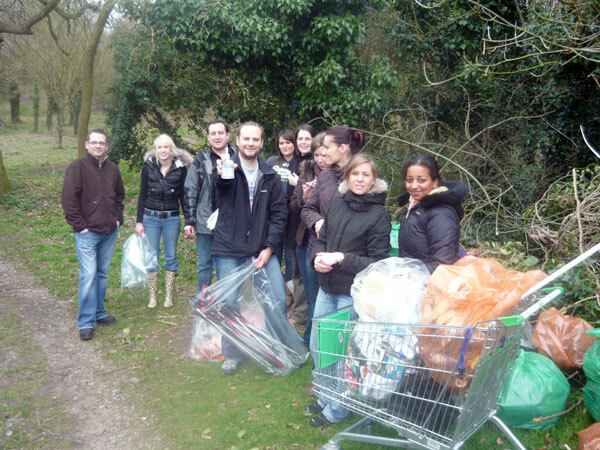 This year they were by themselves in Whitley Wood. 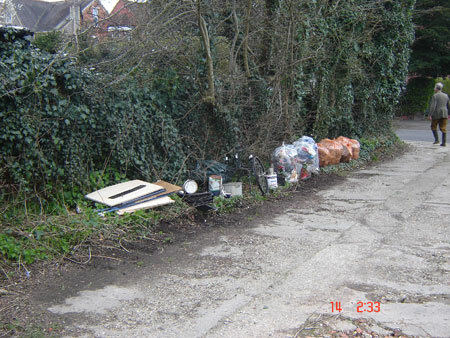 Their “spoils” included part of a fence, presumably from the roadworks at Junction 11, a car exhaust, lawnmower parts and large quantities of other rubbish. 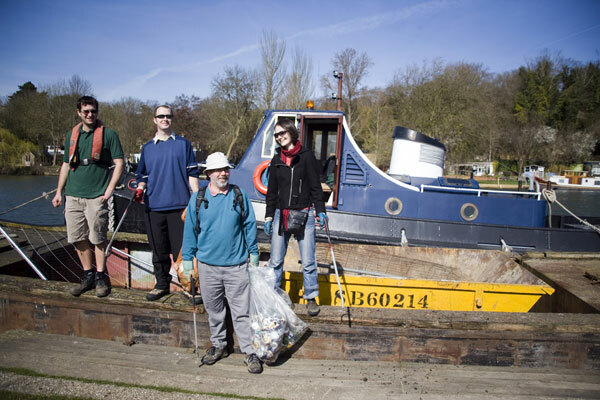 A busy day for this intrepid five. 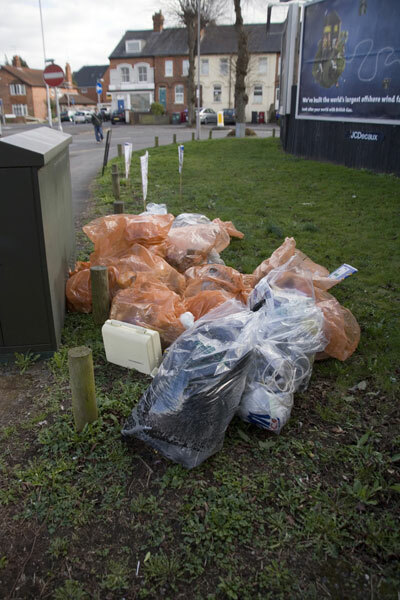 My last stop of the day was quite a change from the picking up rubbish theme. 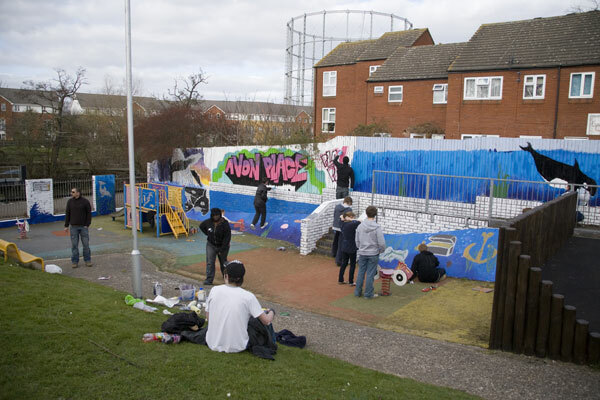 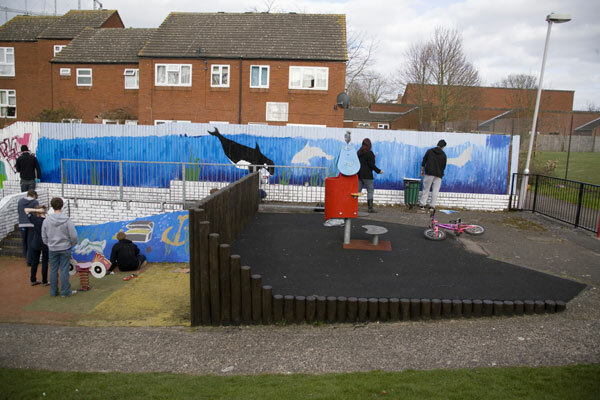 This group of TVU students, under the guidance of CSV volunteers were cleaning and painting a childrens plyaground in Avon Close, Newtown. 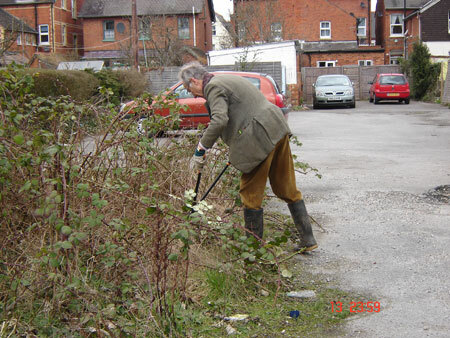 (I wasn’t the only one glad for a dry and sometimes sunny day). 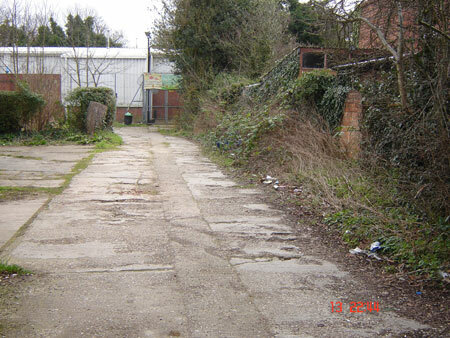 It was an interesting day of finds at the Cowsey Estate. 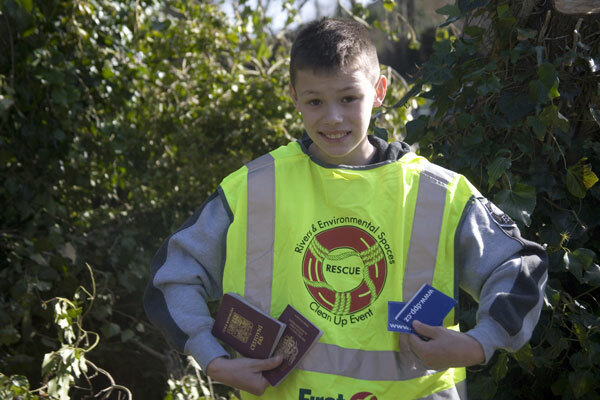 Just before I arrived, one of the scouts had found two passports. 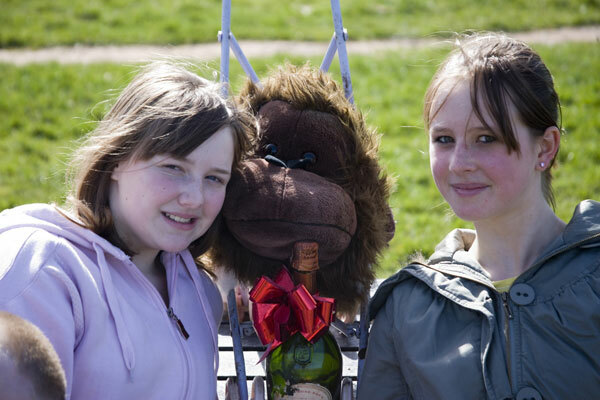 And when I caught up with the rest of the group, they had the head of a toy gorilla, which had been found with an empty champagne bottle. 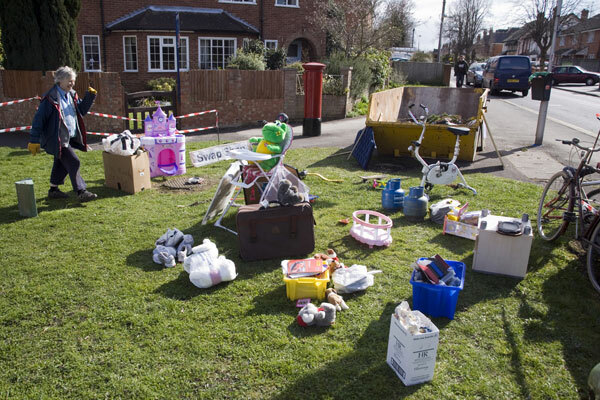 Must have been quite a party. 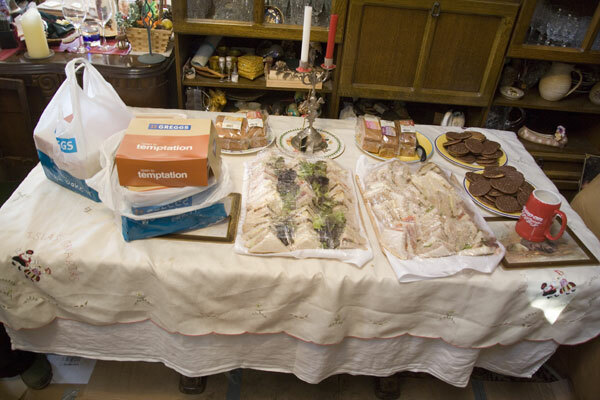 The volunteers at the Cowsey also had lunch provided, at the home of RESCUE regulars Eddie and Clodagh, including sandwiches supplied by the Holiday Inn Reading South and cakes supplied by Greggs in Christchurch Road. 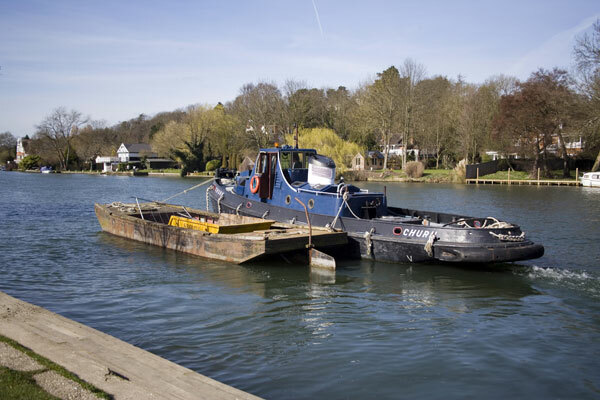 My next stop was the Thames Promenade near thre Rivermeaad. 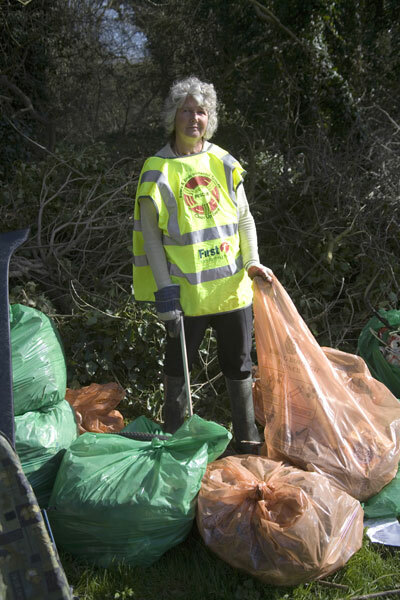 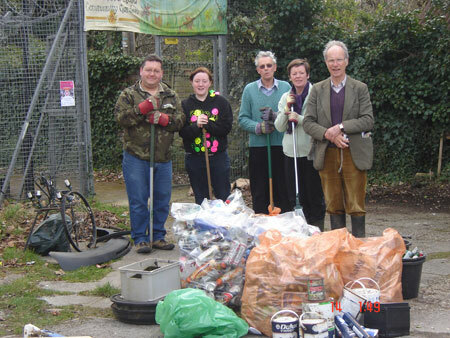 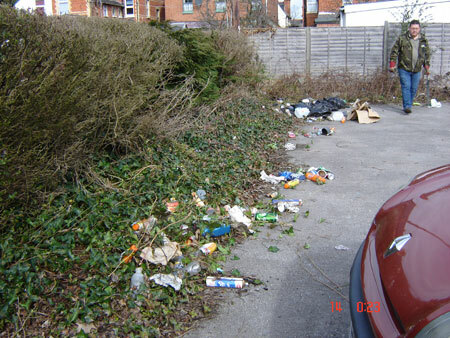 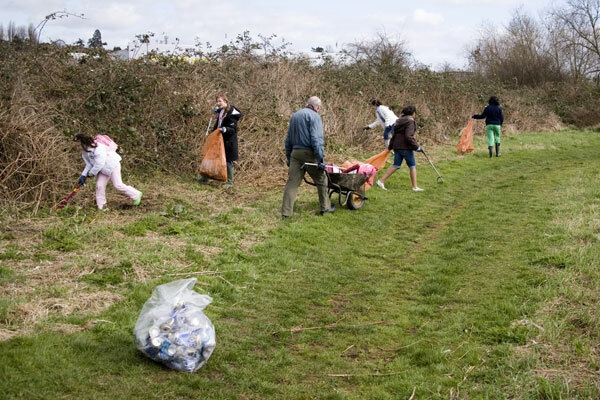 Volunteers from Peter Brett had spent the whole morning clearing rubbish. 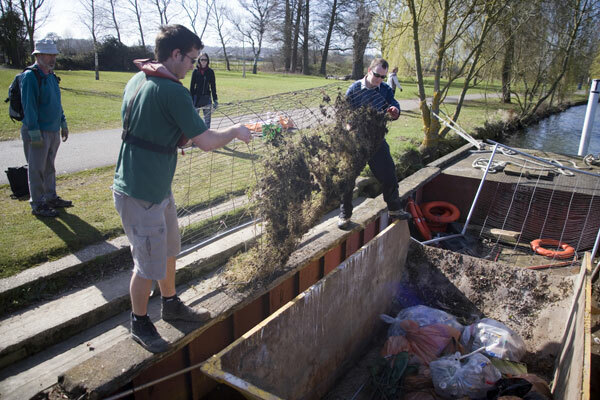 They had also found several large ppipes and some fencing presumably left behind after the Reading Festival. 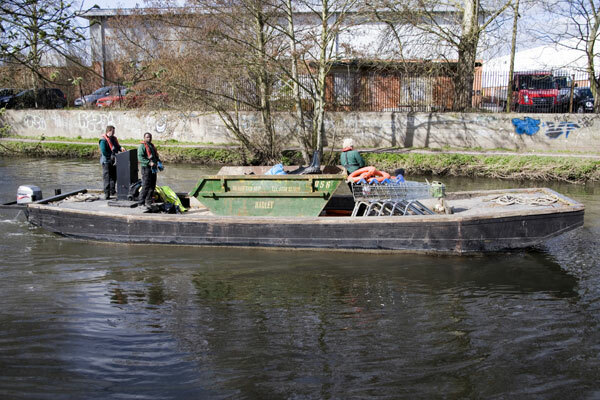 Just as I arrived, so did an Environment Agency barge to take the rubbish away. 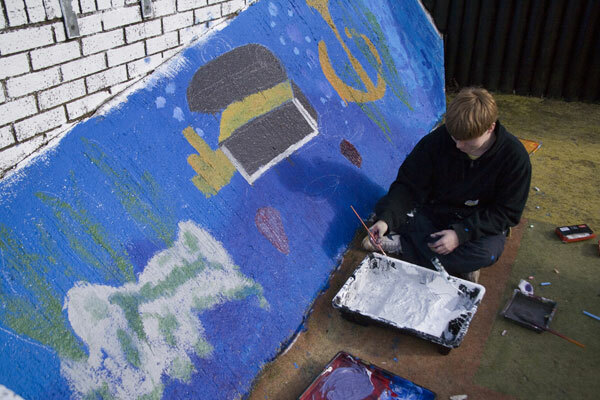 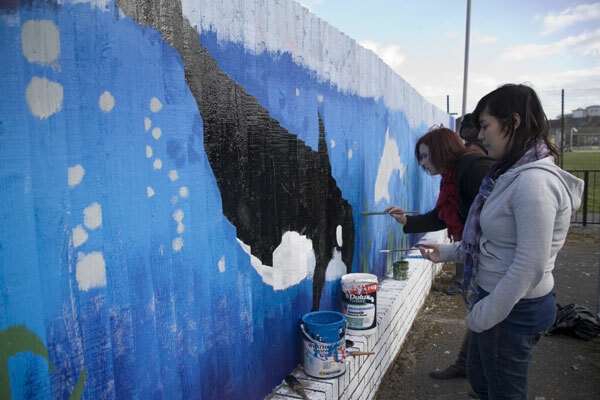 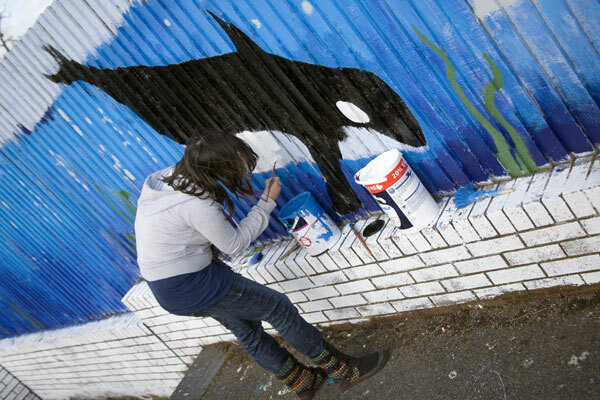 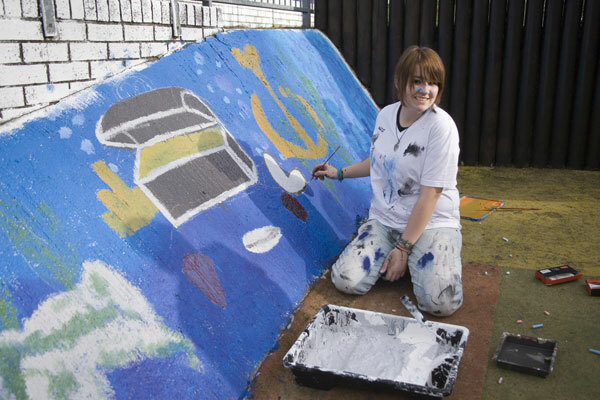 Each year at the RESCUE Headquarters there is an art project for children to participate in. 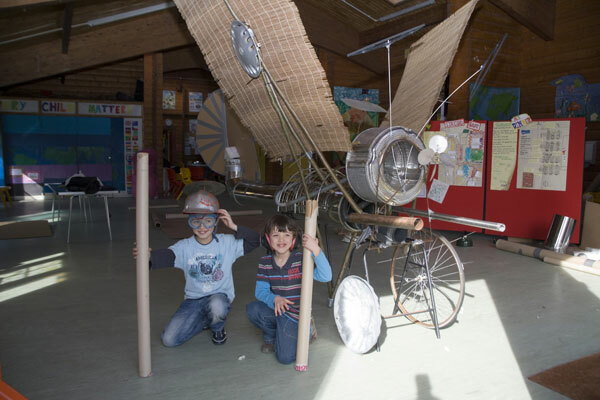 This year, a magnificent flying machine was built. 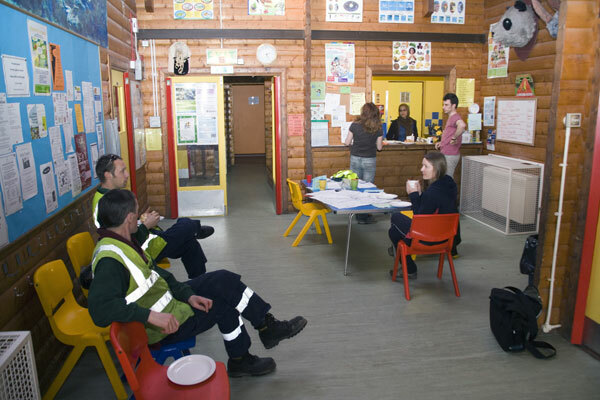 Waterloo Meadows is the control centre for the weekend, and is also where the council staff involved stop in for lunch, and further instructions from Summreen (posing in the truck). 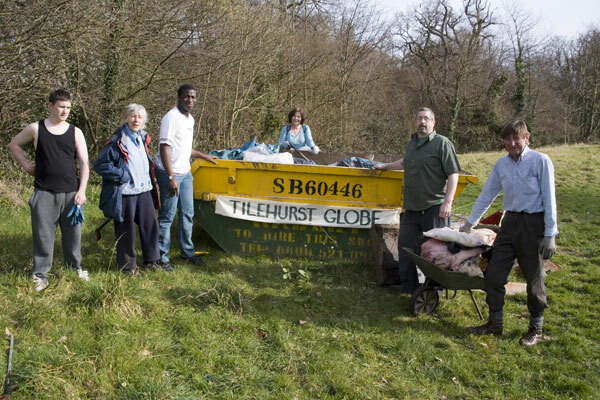 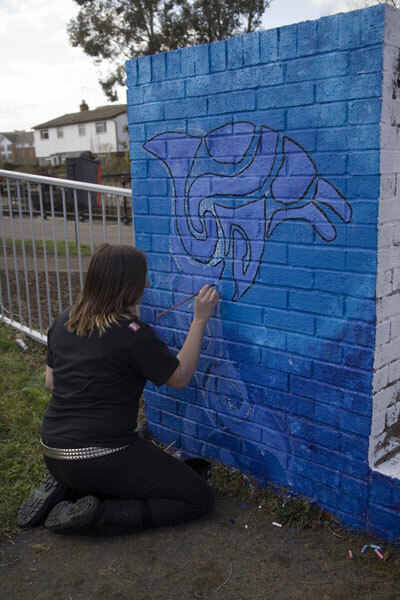 Working on Saturday was not enough for the Tilehurst Globe volunteers. 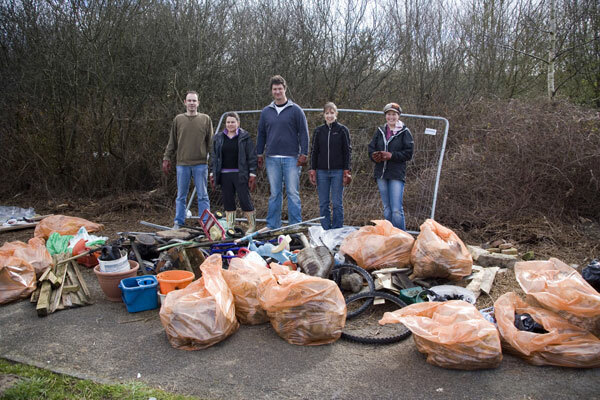 Some of them were out again on Sunday. 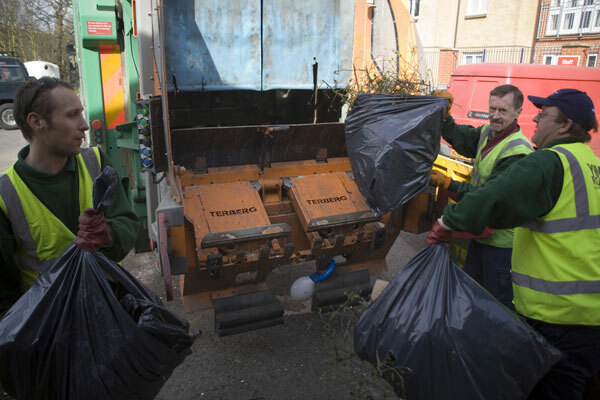 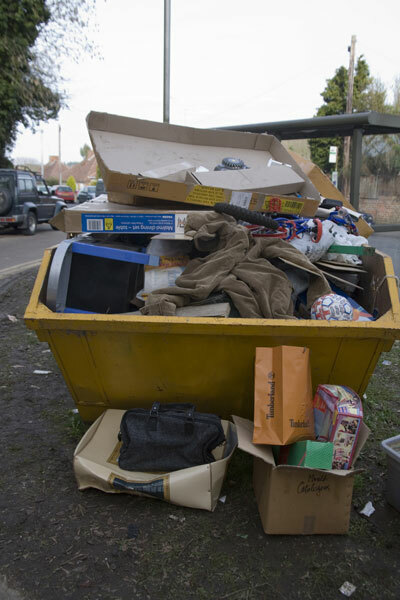 These skips were filled as qucikly as the council staff could take the rubbish away. 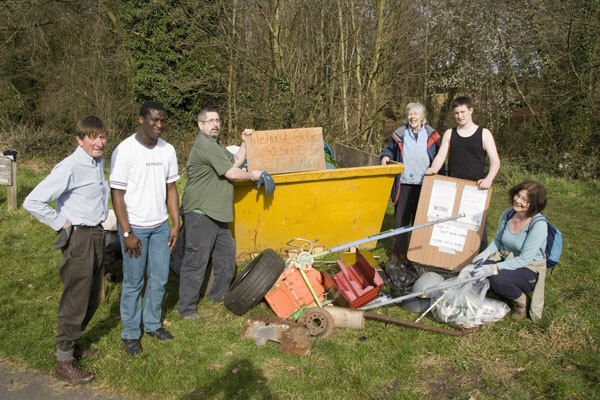 Friends of The Oxford Road Community Gardens were also active on both days as shown by this selction of photos including some befores and afters.